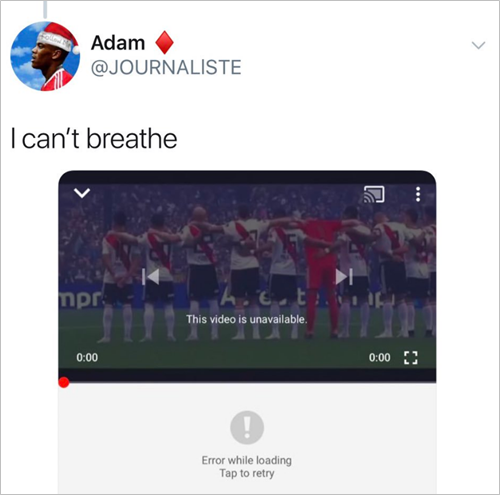 Proving once again that Argentinian football fans are a different breed entirely, one River Plate fan went and had a tattoo to commemorate his side’s 5-3 win over despised rivals Boca Juniors in the 2018 Copa Libertadores final. 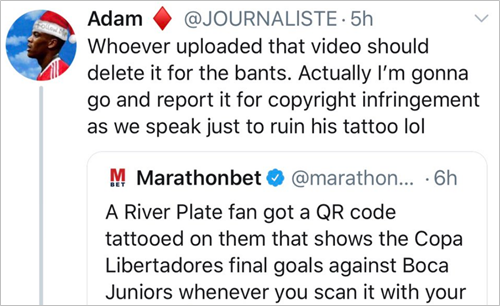 Not massively odd in and of itself, until you learn that the tattoo in question was of a QR code that linked (note – past tense) to a Youtube video of River’s goals in the aforementioned match. 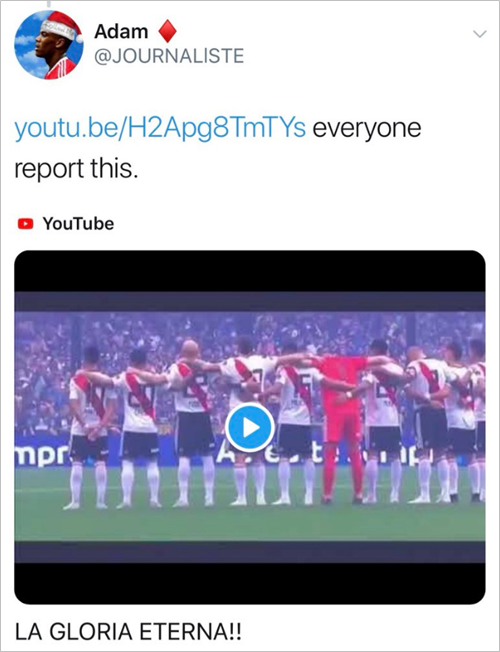 Then came some gloriously vindictive pettiness, with a Twitter user taking umbrage at the tattoo and calling up his followers/like-minded gits to report the Youtube video for copyright infringement. 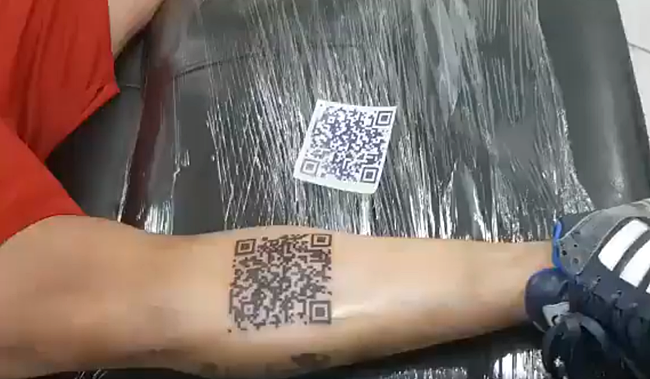 So, even if the video does get re-uploaded, the once-innovative code tattoo will always patch through to a dead link forever more. Flippant bastardry of the highest order.